Reservations for the 2020 camping season open Saturday, October 6th, 2018. Reservations in person will begin at 9:00 a.m. Phone & E-mail reservations will begin at 11:00 a.m. 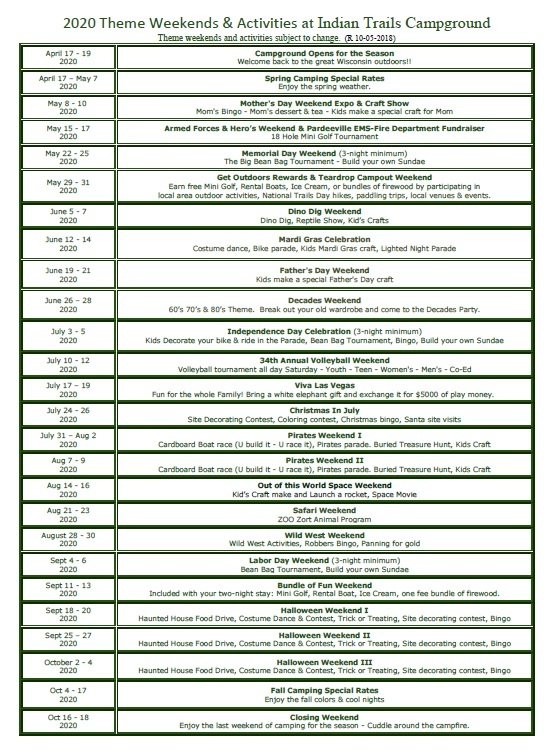 Please click on the image to the left for the 2020 Themed weekend calendar.